The best way and easy to design a calendar. 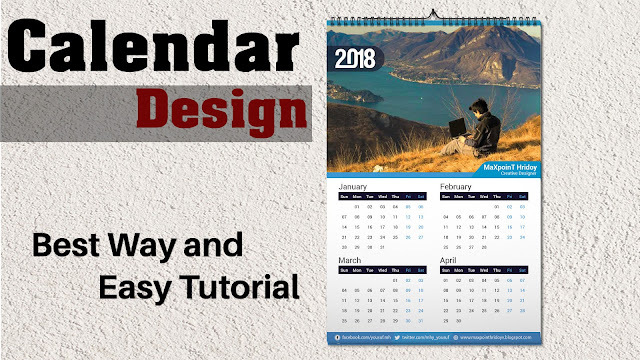 Calendar design by #Adobe Illustrator,#Adobe Photoshop. Wall calendar or desk calendar at design smoothly by the best and Easy Method In Design. tutorial is fully created by Adobe Photoshop. If you are a beginner learner or mid - level learner, it is for you.